Who has not dreamed of uprooting their life and starting completely fresh in a foreign land? Many people think and dream of this but how many really do it? How do you move to Italy? Generally, one thinks about it, maybe researches a bit online and then gives up because between learning the language, learning an entirely new culture and completely undoing one’s life and redoing it elsewhere is just, well, overwhelming. And one has no model to follow. One simply scrunches up one’s eyes and dives in hoping they can learn fast enough to avoid a major disaster. Or one just doesn’t do anything and regrets it. That is why, during my recent jaunt to Calabria, I asked my new neighbor and friend Bonnie Gale Oliver to sit down and let me interview her. She graciously did and as soon as Pete has edited it to make me look thin, it will be up and available. In the meantime, some of her tips were so important that I thought I would give you a brief preview. What makes one decide to pull up roots and start all over somewhere else? In Bonnie’s case it was a love of travel and a love for Italy. For the last several decades she was a nurse and had limited time off. Travel to Europe takes a couple of days each way. A week off is not enough time to see much of anything. When you do, it is through a blur of jet lag so that you can barely remember what you did see. 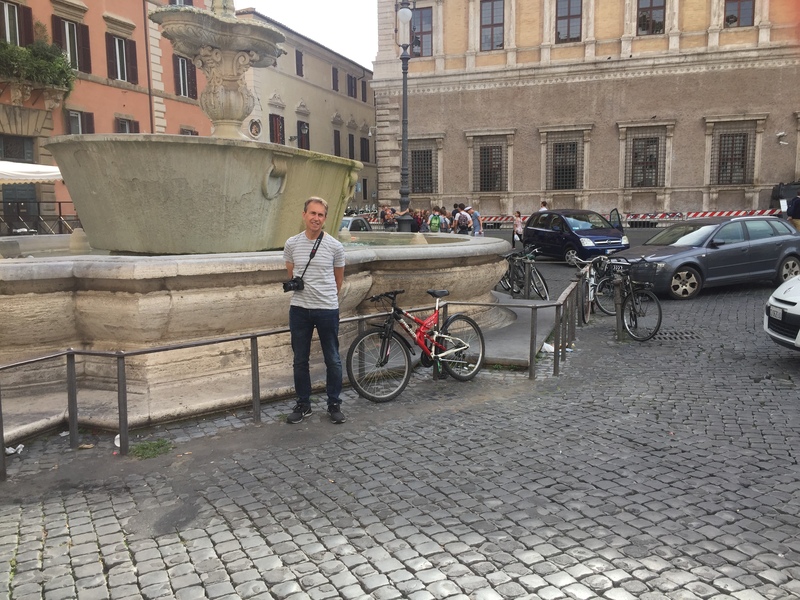 If one really wants to spend a lot of time exploring Europe, it just makes sense to either live somewhere where travel to the rest of Europe is manageable, or to buy a place there. Bonnie found what Pete and I found, that Calabria is the perfect jumping off point for all of Europe. The airport is a train ride away and all of Europe is a short flight away. 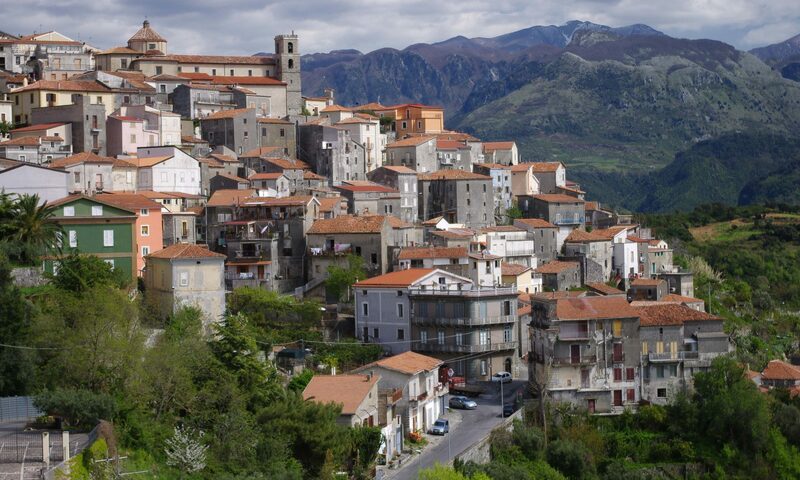 Is living in a medieval Italian hill town a hardship? In America, when you mention hundred years old houses, people cringe. Pictures come to mind of money pits filled with termites, water damage and other costly nightmares. In our village, the houses are hundreds of years old. Pete and I recently found out that our house was built in 1642 and was part of one of the grand mansions in the village. It took up an entire city block. There is very little wood rot because there is very little wood. The massive walls are made of stone and leftover building materials from centuries ago. There is no earthquake damage where we are because the houses in the city center are like a honeycomb of dwellings that lean on each other for support. During our renovations I asked our contractor about escape routes in case of fire. He looked at me like I was mad. We don’t have house fires in our village. Everything is stone and brick, Ceilings are held up with metal beams. Any time we leave our place there, we simply shut of the water and electrical and go. It is the easiest thing in the world. In Summer the two feet thick walls hold in the cool and in Winter they hold in the heat. Our village has a butcher, a pharmacy, a doctor, and two little grocery stores. Everything you need for every day life is there. If you need or want more, there is a huge Conad market down the hill in Scalea that has more than what you would find in a supermarket here in California. In addition to all the things you would expect in an American supermarket, they have varieties of fresh cheeses, beautiful produce, gluten free selections and a cafe with amazing food to eat in or take out. Cristo Redentore, Maratea, Calabria. 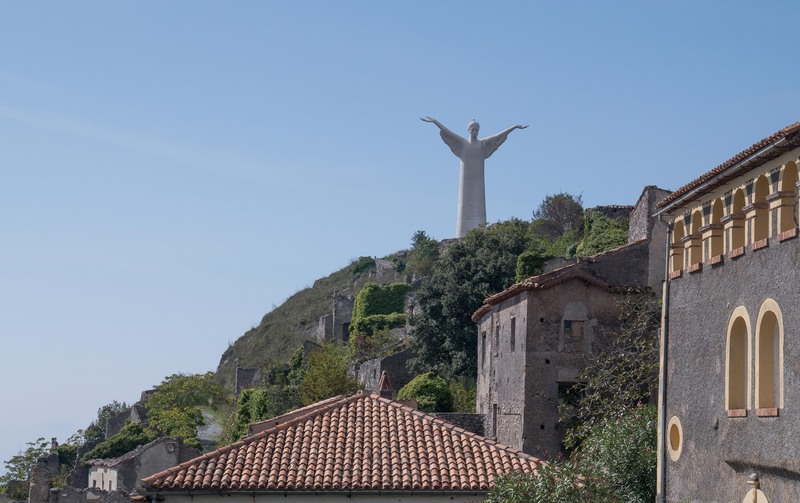 Christ the Redeemer of Maratea, at 21 meters high, is the third-tallest statue of Jesus in Europe. The statue was built of pure Carrara marble in 1965 by Bruno Innocenti, a sculptor from Florence. If that were not enough, we have a bar in the piazza where you can buy a perfectly brewed cappuccino or espresso and a warm, freshly baked croissant filled with cream or marmalade. 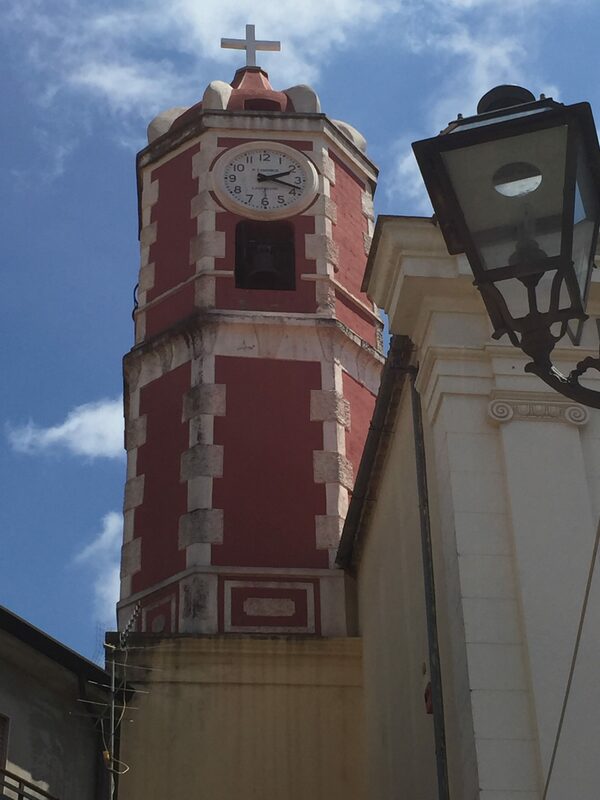 Is the afternoons fresh gelato is served at the tables set outside in the shade of the church tower. On the corner of our village sits a fabulous restaurant where you can watch the sun set over the Mediterranean while enjoying freshly made pasta dishes, oven fired pizzas with fragrant mozzarella di bufala and my favorite, impossibly light and delicious zucchini fritters that make my mouth water just thinking of them. 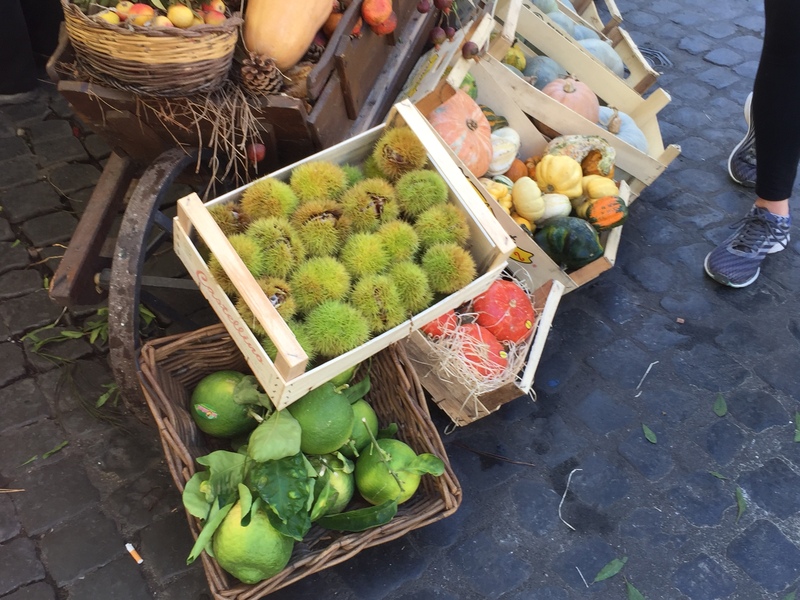 In southern Italy not everyone speaks English. For that matter not everyone converses in Italian all the time. Many of the older residents in our village speak dialect which is a mix of Greek, French, Spanish and Italian thrown in for color. That said, most of the younger residents speak pure Italian and recently I have met several young kids who learned English in school. They looked eager to try it out on us. It was nice to converse in either language with the idea that we are helping each other get to the point where conversation will someday flow easily. In any case, when you need to communicate, there is a huge desire to understand you. Phone apps come out that translate in real time, Italian charades are performed, many times to gales of laughter and in the end, all is well. In addition, you learn quickly if you open yourself up to it and make an effort. Bonnies tells me that she and her sister Carolyn are going to be attending the free Italian classes offered to foreign residents. Our other friend Kathryn attended these classes and her Italian is flawless (In my opinion). What about the Italian Bureaucracy? 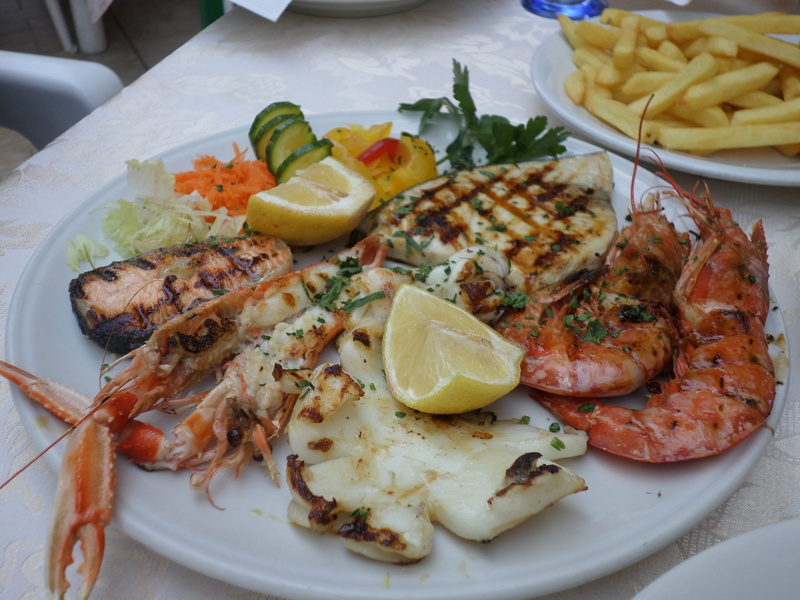 There is no question that certain things in Italy are done a certain way. 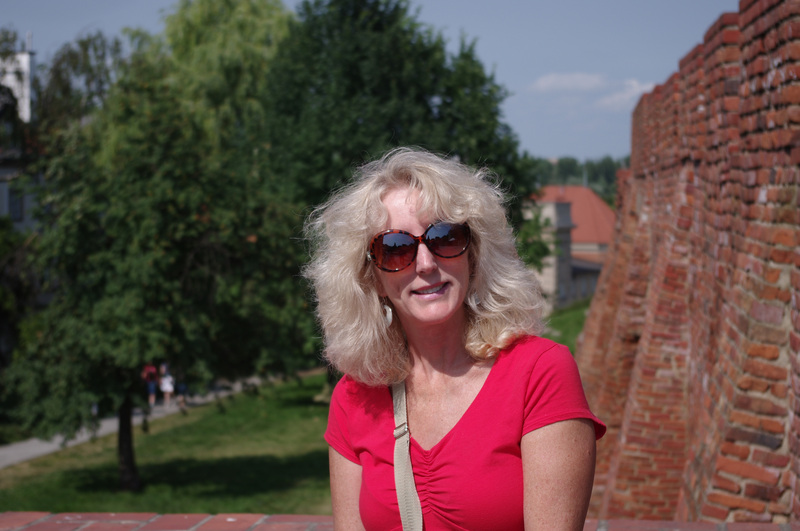 In our interview, Bonnie tells us about her adventures getting her residency status, registering her car and next she will get her Italian drivers’ license. The beautiful thing is that many of the neighbors who know all the ins and outs, have given her advice and helped her in each of these endeavors. Bonnie and her sister Carolyn want to travel. the train station is just down the hill from our village and from there you can go pretty much anywhere in Italy, or even in Europe. 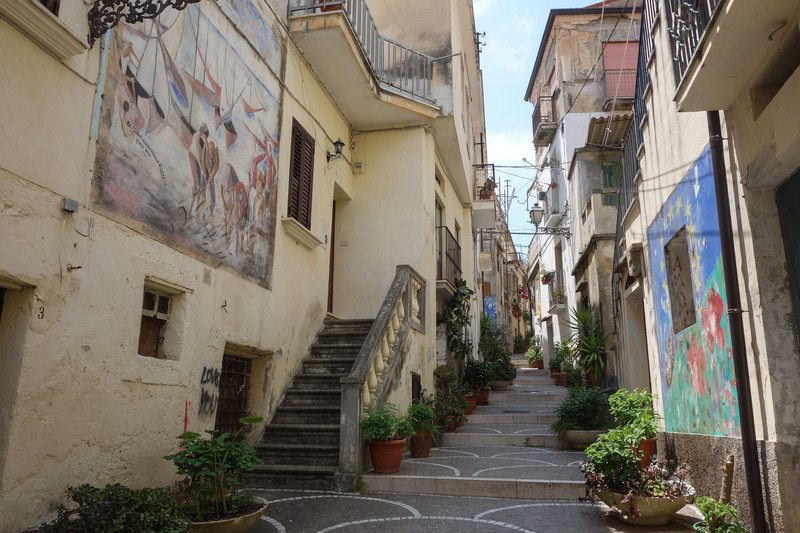 From where we are, Sicily is a hop and a skip, Reggio Calabria, a much overlooked destination is half a day away. The ruins at Paestum, one of the most beautifully preserved ancient Greek cities is two hours. Naples is two hours on the train and Rome is five hours. If you do not want a train ride, our area is studded with little jewel hill towns, each with its own character and charm. Take your camera and good walking shoes and you can discover some of the most beautiful views, stunning churches and picturesque villages. It is a photographer’s dream come true. A lunch at one of the fabulous restaurants sets you up for another tour of a different glittering hill town. Each town has its rich history and its warm and wonderful people. I can’t wait for Pete to put the finishing touches on our interview. I loved talking with Bonnie and I love watching it over and over because I get more great information every time. Please watch for it and when you have seen it, send me a note letting me know what you think. And, as always, if you want to plan a trip, let me know. I would love to put it together for you. 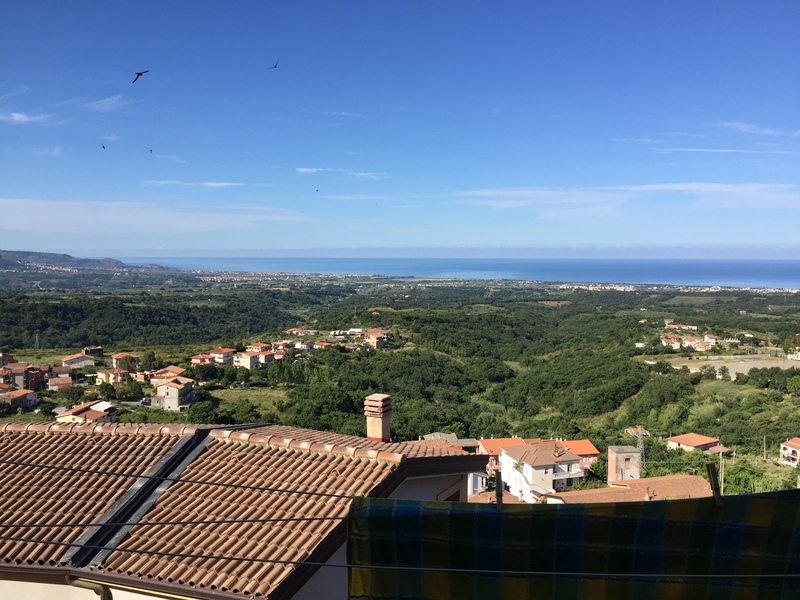 And if you want more reasons to retire in Calabria, read this blog post. See you there! Ok Lis! The place next to us is still for sale. What do you think of flipping the palazzo and just putting all our friends there? WOO HOOO! Ruin Flippers! it is a thang! Next PostNext Ruin Flippers! From Medieval to MAGNIFICENT!